We're approaching the end of the year, which means we only have two more colors left to share. 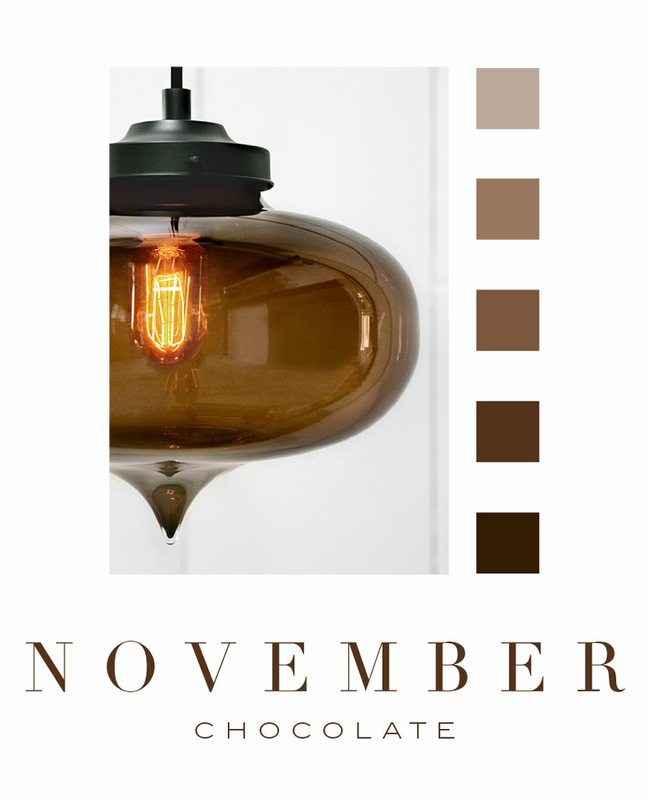 This month's color trend is Chocolate, a rich, earthy tone that brings warmth to any environment. This color, whether accented in textiles, furniture, or of course, pendant lighting, is helping to define the design world we are immersed in on a daily basis. Our Chocolate pendant lights are available in an array of shapes and sizes, including some of our best-sellers like the Solitaire, Aurora, and Bell Jar. Adding rich, brown accents, especially with Niche lighting, is a great way to add a neutral touch that pairs beautifully with rich wood tones and warm metal finishes such as brass and gold. Not sure if Chocolate glass will work for your next renovation project? We understand. Choosing the right lighting for your interior can be intimidating at first. Seeing Niche's colored glass in person is a great way to decide what suits your space best. It’s easy to order glass color samples from Niche. Select three or five colors to have delivered right to your door.